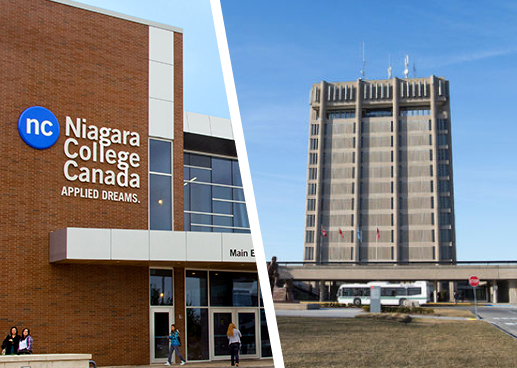 Niagara College Student Administrative Council and Brock University Students’ Union facilitate the Upass program on your behalf and the cost is included in your ancillary fees, which are paid with your tuition. In order to use your Student Card as your Transit Upass, you must pick-up your Upass sticker, which will be affixed to your Student Card and qualify you to ride; Welland, St. Catharines, and Niagara Falls Transit systems, as well as the Regional Transit system with your Student Card. You can pick-up your Upass sticker by visiting your NCSAC Offices at either the Welland or NOTL Campuses and the BUSU office at Brock University. From August 31st , 2018 – Sept 14th, 2018, you will be allowed a grace period to ride the Transit system by showing your Student Card (without the sticker) and a copy of your class schedule or letter of acceptance. This grace period will ensure you have time to get your sticker. If you do not show your Student Card and class schedule or letter of acceptance during the grace period, you will be required to pay bus fare. All eligible students can ride Welland Transit, Niagara Falls Transit, St. Catharines Transit, Regional Transit, Port Colborne Transit, Fort Erie Transit, Pelham Transit, Niagara-on-the-Lake Transit and the Niagara Falls Campus Shuttle with their U-Pass. Does my U-Pass cover Trans-cab area? The U-Pass does not cover the Trans-cab area. You will need to show your current U-Pass and pay the transfer fee of $1.25. Please see our Trans-cab page for more details. We would like passenger comments and suggestions for improving our local public transit service. Your input is important to us. Downtown Terminal: 160 East Main St.